Does being over 50 change how people respond to the election? Margaret Morganroth Gullette is a cultural critic and prize-winning writer of nonfiction, an internationally known age critic, essayist, and activist. Her latest book, Ending Ageism, or How Not to Shoot Old People, won both the Modern Language Association Prize for Independent Scholars and the American Psychological Association's Florence L. Denmark Award for Contributions to Women and Aging. Agewise (2011), won a 2012 Eric Hoffer Book Award. Aged by Culture (2004) was chosen as a “Noteworthy Book of the Year” by the Christian Science Monitor. Declining to Decline (1997) won the Emily Toth Award as the best feminist book on American popular culture. Margaret’s focus on the midlife has expanded into the field of Age Studies, now institutionalized in two international networks of age scholars, NANAS and ENAS. Age, studied from childhood on, can be as powerful as studies of gender or race, empowering people to challenge decline culture and join an anti-ageist movement. 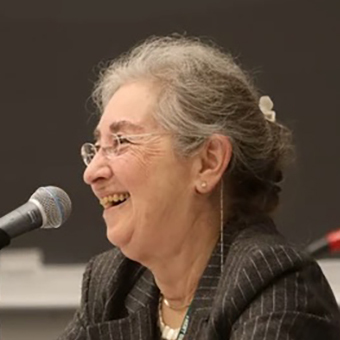 Margaret’s essays, one the winner of the Daniel Singer Millennium Prize, are frequently cited as Notable in Best American Essays. She has published in the N.Y. Times, Ms., Al Jazeera, Guardian, Nation, American Scholar, American Prospect, and many literary quarterlies. A recipient of NEH, ACLS, and Bunting fellowships, she has published in Feminist Studies, Representations, Journal of the History of Sexuality, Monthly Review, Academe., New Political Science. Her work is cited by scholars and journalists and used in courses. In Nicaragua, her work has helped hundreds of adults to become literate and graduate from high school. Margaret is developing the interdisciplinary field of age studies through lectures and publications, and is completing a new book to be called "A Few Things About Growing Older That Your Mother Didn't Tell You"
Gullette, Margaret Morganroth. Ending Ageism, or How Not to Shoot Old People. Rutgers University Press, 2017. Gullette, Margaret Morganroth. Aged By Culture. Chicago: University of Chicago Press, 2004.